You all might be thinking whether it's August or October? Why so late in posting the Unboxing post? Yes, many questions and am here to answer all of them. I recently won The Nature's Co August 2016 Beauty Wish Box in a giveaway on pratsmusings.com. 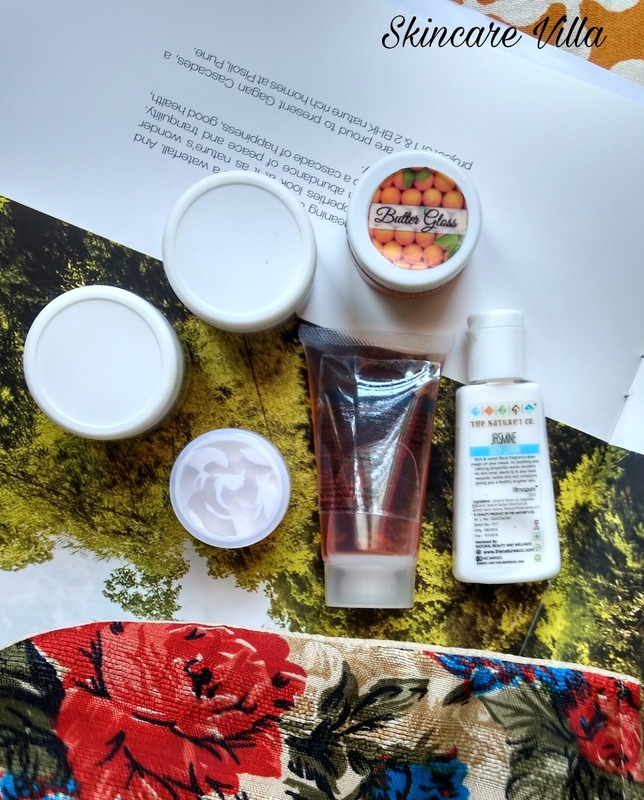 I just entered for fun as I regularly follow the blog and Woohoo I won :D.
Now coming to the contents of the Beauty Wish Box, this box is their earlier version wherein we get one full sized product and 5 sample sized products. No wonder the theme being festive special it was packaged in this beautiful ethnic style bag. It helps do away with dead skin while keeping the skin soft, supple and firm. Enriched with natural oils, vitamins and butters, it helps enhance blood circulation in your face and restore freshness by lightening dark spots and reversing signs of ageing. Brighten your skin the natural way with this cream. Bearberry being a natural and highly effective skin lightener which brightens your face, while Liquorice will reduce the discoloration and pigmentation. At the same time, get deep down moisturizing for a lighter, smoother and more radiant face. Refresh your body and soul with our enchanting affection of Jasmine Body Wash. It's soothing and calming properties protect your skin from rashes and irritations, improve your skin tone and increases it's elasticity giving you a healthier skin. It's rich and sweet floral fragrance works magic on your mood. It's soothing and calming properties work wonders on your skin tone, elasticity and also heals wounds, rashes and skin irritations giving you a a healthy, brighter skin. This mask will help you fix up those festive wear and tear and make your hair absolutely super shiny. It also stimulates hair follicles, prevents hair loss, premature graying and dandruff. This lip butter will moisturize and hydrate your lips all day along. 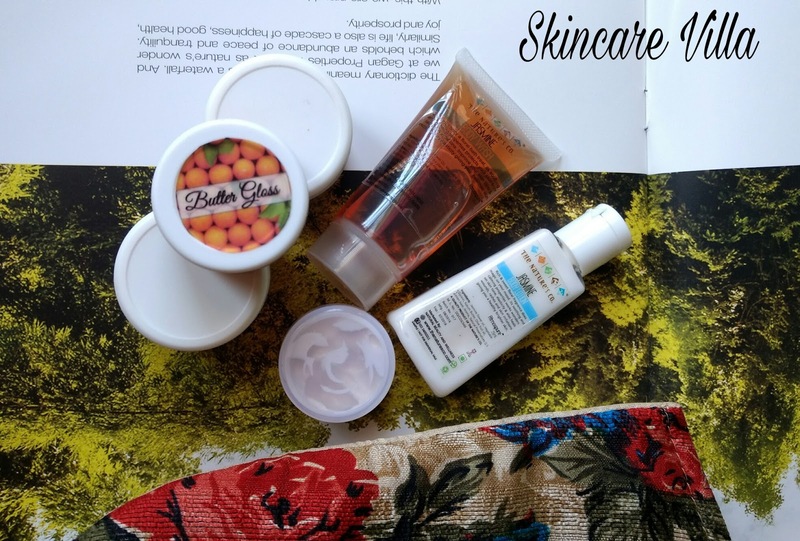 Overall it is a good option to try out samples products before going for full sized product. This bag has a wide range ranging from lip to massage cream. Since this box I had won in a giveaway I am very happy with the subscription box.